You’ve spent months training for your big race–so don’t sabotage yourself the day before the event. 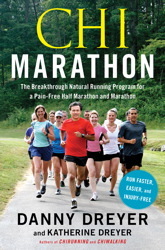 From The Chi Marathon: The Breakthrough Natural Running Program for a Pain-Free Half Marathon and Marathon. Here are a few reminders of what not to do on the day before the event. Some of these may compromise your body in some way, and some are mental leaks that could shatter your mental focus. • No massages. You need to show up at the start line with your mind relaxed and your body toned. Massages can leave you too relaxed and undo some of your muscle tonus. Massages also release toxins stored in your muscles and move them into your circulatory system, which is good, but not the day before your marathon. Reward yourself with a massage afterward. • Don’t eat any weird foods. All foods should be easy to digest. Avoid gluten, meat, deep-fried foods, and spicy foods. Remember, don’t eat anything unfamiliar. • Don’t drink alcohol the night before your race. Alcoholic beverages can have a dehydrating effect. • No yard work, gardening, or other strenuous physical labor. Don’t do any work that involves lifting, bending, stooping, or kneeling. • Avoid doing things that you don’t want to do. This will keep your mental and emotional stress to a minimum. • No video games, email, Web surfing, computer, or iPod the evening before. Quiet your mind. If you have to think, think about what you’ve been through in your training and what you’d like to do in your race. • No energy leaks. “Containment” is your mantra. The day before your race should be absent of any unnecessary activity. I’ve heard from many runners, and I agree with them, that the day before a marathon or half marathon should be spent around the least number of people possible. A few friends or training partners, or family, is plenty. Save your social time for celebrating your success the evening after your marathon. This is the book that distance runners have been waiting for. With Chi Marathon you can enjoy the run and feel confident no matter the distance.